I recently rediscovered an oval wooden object in the recesses of one of my drawers. My mother-in-law had given it to me years ago, explaining that it was a tool that her mother had used to mend holes in socks. To be honest, I didn’t understand why she wanted me to have it. I can’t even thread my sewing machine (another gift from her) and I knew I would never bother to mend my socks. Nevertheless, I accepted her gift and promptly forgot about it. Now, holding the object in my hands once again, I decided it was time to learn more about it. 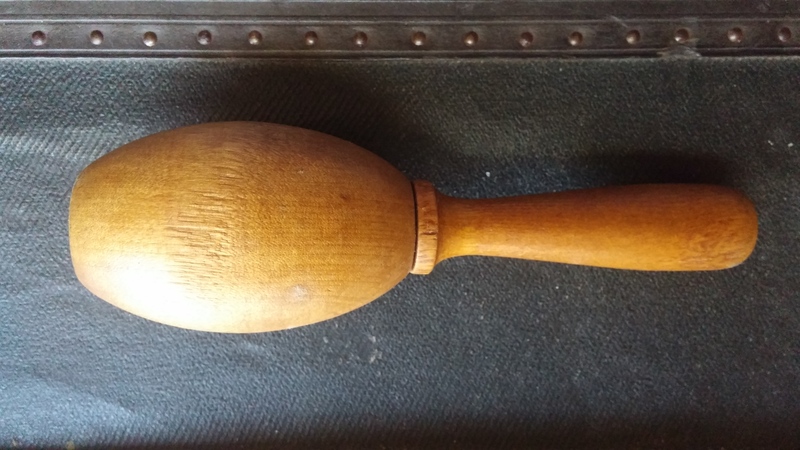 I discovered that my wooden tool is called a darning egg or a darning mushroom. Having assumed it to be a relic of the past – indeed, some are considered to be collectible (see RubyLane) – I was shocked to learn that many people steadfastly continue to use them to repair the holes in their socks. The egg doesn’t do a lot, really – its primary function is to serve as a prop. You insert the egg into the sock so that the hole is exposed, thereby creating a workable area to interlace new material with the old (you can see it done on this YouTube video). Thus, even though the darning egg doesn’t do the mending or stitching itself, the task would be much more difficult without it. Genealogy research is distinctly different from life story writing, but genealogists often unearth interesting facts that can shed new light on their own life experiences. I recently interviewed Michelle Ule, a New York Times bestselling author and speaker, who writes inspirational and historical fiction and is currently finalizing the biography Mrs. Oswald Chambers: The Woman behind the World’s Bestselling Devotional, which can be preordered now. 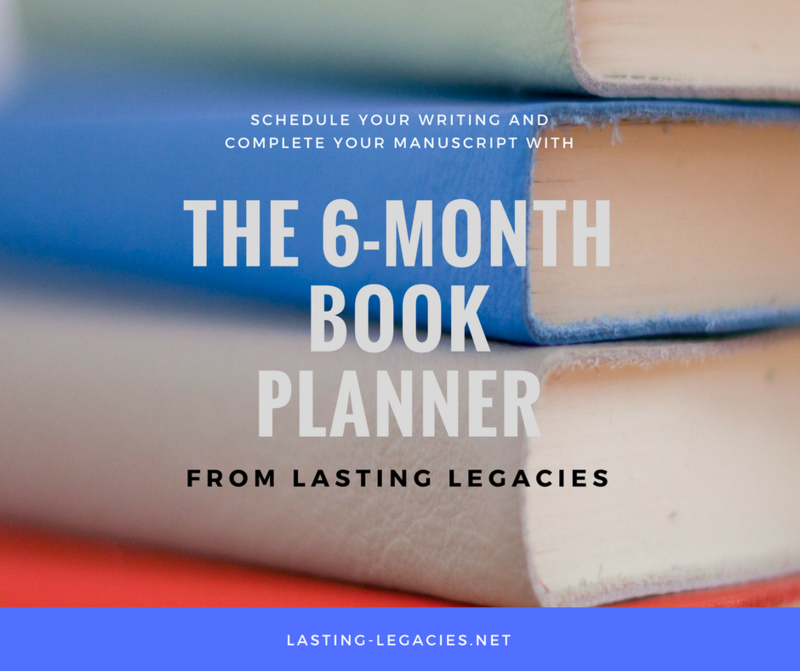 She is also a longtime genealogist who self-published a family biography titled Pioneer Stock and is currently editing the life story of her grandfather. I think you’ll find her genealogy tips and surprise findings quite interesting. Prefer to listen to the interview? Click here to access the recording. Dalene [D]: Welcome, Michelle, and thank you for taking the time to speak with me today. Michelle[M]: I’m happy to chat with you, Dalene. 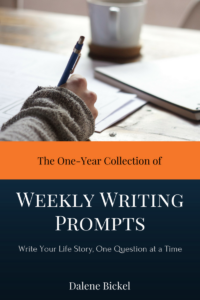 D: So with my audience being primarily life story and even family history authors, I thought I’d start out by asking why you think family history and life story writing is important. M: That’s actually where I began. In my case, the grandfather biography I’m updating was written twenty-seven years ago to celebrate my grandfather’s 100th birthday. What rights do I own in a work I have created? How long do those rights last? Do I need to do anything more to protect those rights? What happens when I sell or give away that work? Can I use someone else’s work in my work? Not familiar with using the Styles feature in Microsoft Word? If you’ve ever wondered how some people create visually appealing text documents in a basic Word program, this is probably how they did it. Have you ever thought of conducting a life story interview with a family member? It’s probably safe to say that each of us has at least one relative who has led a seemingly exciting life, has inspired us because of their ability to overcome significant challenges and/or has actively participated in a significant historical event. You probably love to listen to their stories and may have encouraged them to write them down before it’s too late. Maybe they’ve said they’ll get around to writing their stories one day…but they’ve been saying that for years. Or maybe they don’t see the value of their experiences the way you do. Or maybe they simply don’t like to write. Rather than pleading – or worse yet, arguing – with them to get it done, consider a different approach. Ask them if they would allow you to record them as they tell you their story. It could be an audio recording or a video recording, but for the purposes of this article, I will focus on audio recordings.